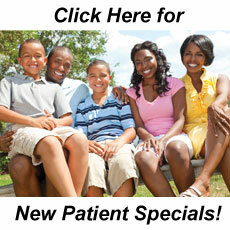 Meet our North Little Rock dental team! We are pleased to offer a range of dentistry services! We work as a team at Springhill Dental, and that means you will receive the same high-quality care delivered in a compassionate manner by everyone at our practice. It's not just their skills that keep you smiling, but their warmth and friendliness as well! Kara has acquired a wide range of experience since beginning her career in the dental field 21 years ago. She is not only our office manager, but our insurance coordinator, dental assistant, and "office mom." Basically, she does it all around our office. Kara grew up right here in North Little Rock and has been married 22 years to her husband Shawn. Together, they serve as sponsors to the youth group at their church. They have two children, Tyler and Haley. We and our patients are blessed to have Kara on our team. Hayden received her dental hygiene degree from UAMS in 2004, so she brings eleven years of dental experience to our office. Our patients rave about her, especially how gentle she is. She is excellent with both kids and adults. Hayden is proud to be a native of England, Arkansas. When she is not working, she loves shopping, binge-watching Netflix, reading, attempting to master Pinterest projects, and spending time with her boyfriend. Since day one, Hayden has been an awesome team member to work with at our office. Nikki grew up in Cabot and graduated in 2014 from UAMS with her degree in dental hygiene. She also has a bachelor's degree in biology from UCA. She has eight years experience in the dental field, with a background in orthodontics. Nikki may be the newest member of our Springhill Dental team, but it seems like she has been here for years due to how well she fit into our office from day one. Our patients also brag on her constantly. In her free time, Nikki enjoys hanging out with her husband Josh, watching movies, reading, and playing with her cat Sophie. We are glad we found Nikki for our practice. Natalie joined Springhill Dental in 2013 after graduating from Arkansas School of Dental Assisting. Natalie stays in constant motion thanks to her awesome work ethic that she developed from working at her dad's garage door business. Natalie grew up in the East End/Sheridan area. She loves the outdoors, especially hunting and fishing with her boyfriend, and spending time with her family. She is also a volunteer firefighter at the Hensley/Woodson Fire Department. We are glad to have Natalie and her work ethic on our team. Our talented team members bring years of combined dental experience to our ultra-modern office. Schedule a visit today at (501) 955-0155 to experience our team first hand.